Several years ago a friend of mine (W7AE)(sk) and myself became interested in low band dxing. Lacking room for a beverage receiving antenna, we constructed several loop receiving antennas. It's been a few months since Bonnie (KB5YSE) and I moved to our new home in Natchitoches, Louisiana. We relocated here about a year after hurricane Katrina substantially rearranged our lives. We managed to retire and plan to spend a lot of tine doing all the things we have always wanted to do, but never quire seemed to find the time to do. The radial coil tap needs to be selected to suit the particular location. Elevating the antenna & radials by 1-2 metres should help to reduce loses. 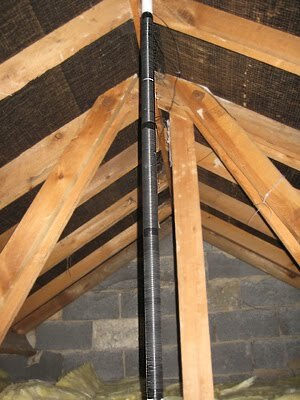 This is a very small vertical 160m antenna that fits in the loft of even my small house. 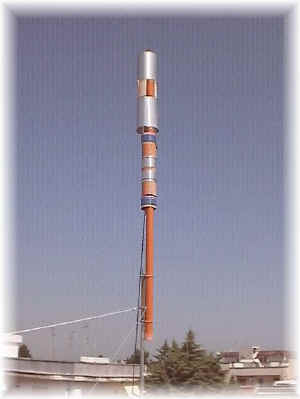 It was built as a way of getting a signal out on 160m for local AM contacts, but the local noise level was far too high to allow it to be used at night for this purpose. However, on WSPR it did a pretty good job with WSPR spots from a very long way across Europe being received when running 2.5W out. The first 6ft (1.8m) of 100ft (30.5m) end-fed is insulated for safety. The antenna is sported by a 22ft (6.7m) central support and a 12ft (3.66) end support. The Garden is 57ft (17.4m) wide, the garage LHS is 30ft (91.15m) deep and the RHS is 35ft deep i.e. too small for a 160m dipole. 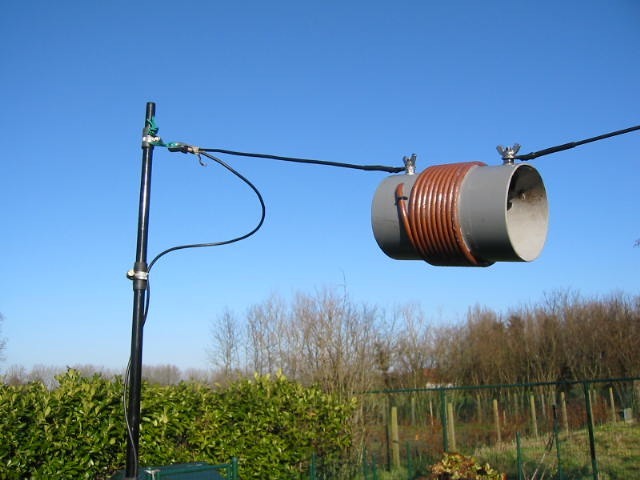 By zigzagging the antenna a horizontal wire of about 33m can be accommodated. My coaxial-dipole would just about tune up on 160m but its replacement, a standard 40m half-wave dipole wouldn’t. Given the small size of my garden even a long wire contorted with lots of bends wouldn’t easily fit. Having had some success with "short" (8ft-long!) 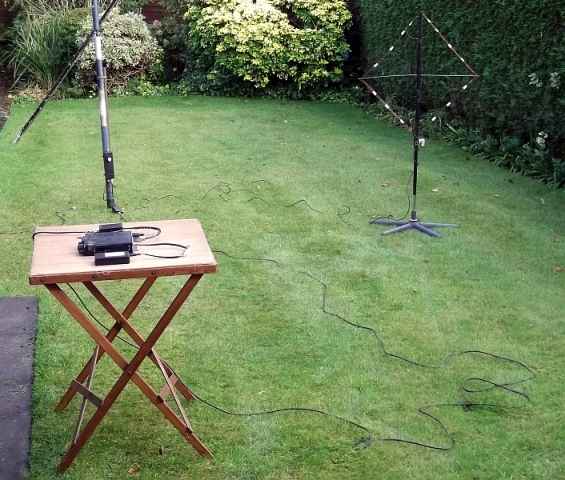 mobile aerials for ground-wave contacts on 160m, I was intrigued by the idea of making something a little larger for portable use. 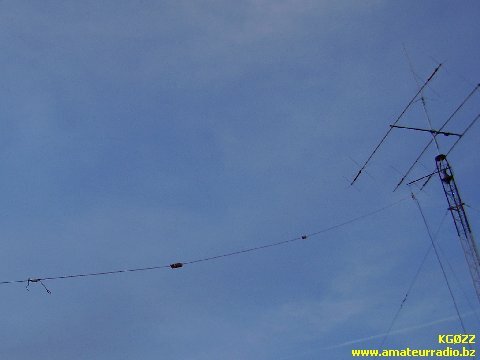 This aerial is one I have used for top band (160 metres) - it was suggested to me by Alan G4ERZ, also of Hull. 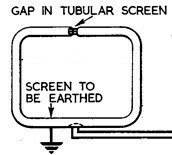 The Hart EH Antenna consists of two (2) elements having a natural capacity between them. The antenna is inspired on the 'Battlecreek Special' design, but then limited to 80 and 160m (no 40m section). It is a further development of the 80m full size GPA described on another page of my site, allowing dual band operation. Page (and Antenna) under construction! Following recent discussions with local stations about "quiet" receiving antennas for 160m, I dug out a small multi-turn which I'd built some years ago. This is a half-size copy of one which I made for Clive M0VCF to use at his QTH in Bristol. 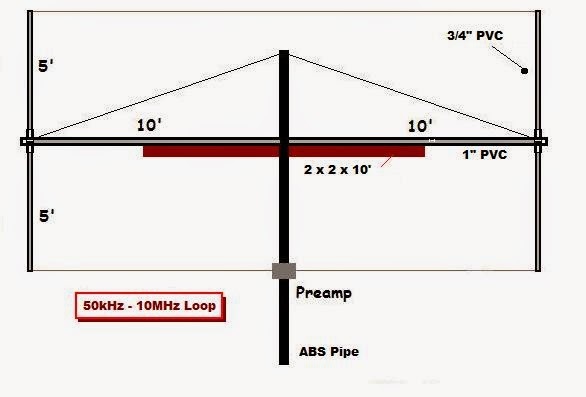 As for all long-wire antennas also these that I am going to describe arevery simple but incredibly efficient. I actually discovered this type of antenna owing to some problems with available space around my house. 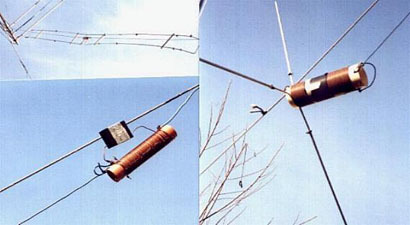 Localised noise in the receiver can be reduced by using a small loop aerial. Shielded coax loops, unshielded loops and ferrite rod loops for 1.8 Mhz have been compared here. 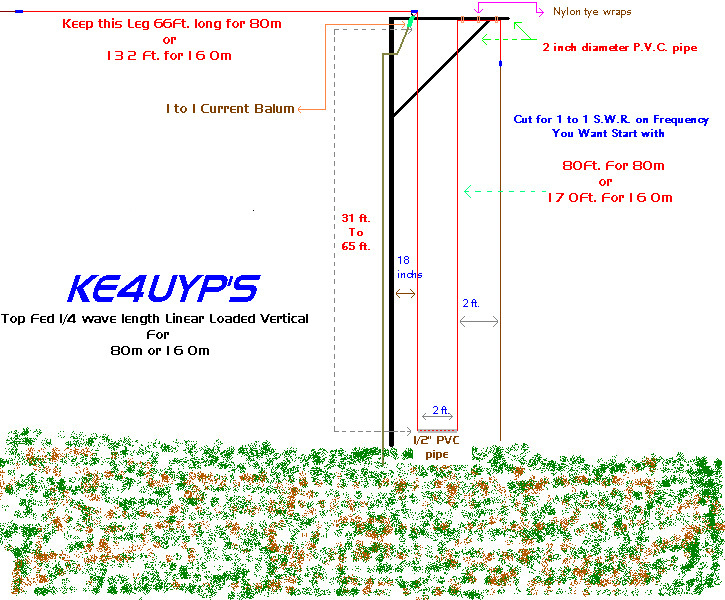 Described here is a lightweight vertical, based around a squid pole, that can be erected in under 20 minutes. 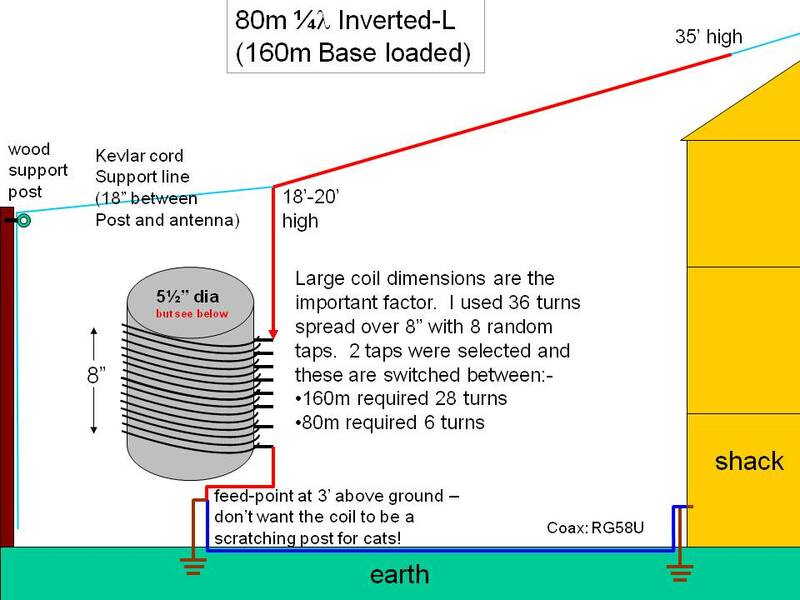 Mobile operators and those who reside on property of city-lot size should find the author's treatment of physically shortened 160-meter vertical antennas of considerable interest. 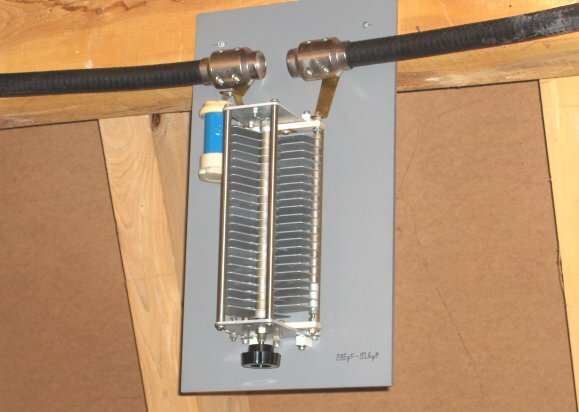 This is a vertically and horizontally polarized antenna the Linear loaded 1/4 wave length vertical radiator introduces very little loss.